When the weather forecast calls for an all-day rain, comfort food sounds the most appealing. Stay in and make one of these classic American rainy day recipes. One thing these delicious recipes have in common is their ability to warm you up, no matter how hard it's pouring outside. So build a fire in the fireplace, light the candles and get that cozy and warm feeling, sheltered from the rain. This is the mac and cheese that put the "comfort" in comfort food. Who doesn't love it? Serve with a green vegetable and a big red wine like malbec, tempranillo, shiraz or merlot for a simple and satisfying meal. Is there anything homier than a bowl of chicken and biscuits? The slowly simmered vegetables, tender chicken and rich gravy, topped with a hot buttermilk biscuit, chase the gray clouds away in a New York minute. Beer aficionados would enjoy an amber, golden or pale ale, while those who prefer wine would like a chardonnay or sauvignon blanc. Ah, oui, oui! French onion soup is one of America's most popular "restaurant soups," but with this easy recipe, you can make it at home anytime you want—and especially on rainy evenings. This recipe uses traditional Gruyere cheese as the topper, but any melting cheese will work. Serve with crusty French bread and either red or white wine, but stay with medium-bodied varieties with this light meal. This casserole recipe is an American icon. Tuna noodle casserole is a comfort-food classic that is simple to make and frugal to serve. 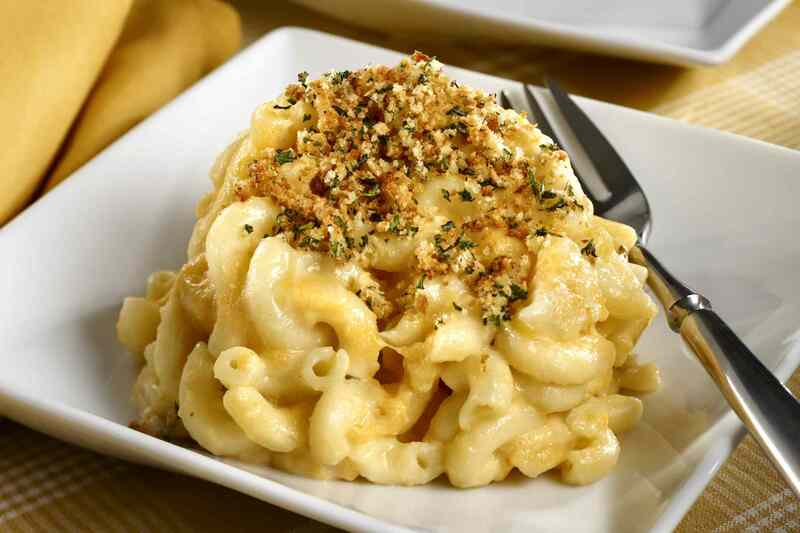 The crisp breadcrumb crust atop the creamy egg noodles is a combo that is hard to beat. And check out all the many variations that all fit under the title "tuna noodle casserole." If you've just made it, change it up for another tasty round. Split pea soup with diced country ham is a hearty, soul-warming bowl of delicious goodness. It's also one of the easiest soup recipes there is. Serve with chunks of Swiss or cheddar cheese and fresh sourdough bread for a satisfying but light meal that warms up a rainy day. Check out this collection of classic American chili recipes from every region of the country. From the Texas "Bowl of Red" to Cincinnati Skyline Chili. Chili variations run the gamut, from what kind of beans to use; to whether to add beans; whether to serve with crackers, warmed flour tortillas or over spaghetti; and whether to top with shredded cheese, sour cream, peppers, all three or none. Should you use tomato sauce, chopped tomatoes or tomato juice? Last but not least, whether to add masa flour for a thicker, heavier version (Texas chili) or water for a soup-like texture.